Amritsar Sahib – At a large gathering of Sikh religious scholars and intellectuals, an open challenge was given to the anti-Dasam Granth heretics around the world for a face-to-face discussion on Sri Dasam Granth, at any venue or time within the next 30 days. The seminar was attended by Takht Sri Hazur Sahib Head Granthi Giani Partap Singh, Bhai Gopal Singh, Dr. Jodh Singh, Dr. Gurnek Singh, Dr. Harpal Singh Pannu, Dr. Anurag Singh, Dr. Harbhajan Singh, Giani Sher Singh Ambala, Dr. Inderjit Singh Gogoannee, Bibi Shobha Kaur Delhi, and representatives of various Sikh organizations across India. The organizers also announced the formation of “ਸ੍ਰੀ ਦਸਮ ਗ੍ਰੰਥ ਪ੍ਰਬੋਧ ਸਭਾ” (Sri Dasam Granth Awareness Organization) whose primary aim would be to promote the awareness of Sri Dasam Guru Sahib Ji’s sacred Bani that is enshrined in the Dasam Granth, and provide any befitting response to Guru-Nindaks that oppose the Sikh scripture. The organizations declared that Sri Dasam Granth was a key sacred Scripture of the Panth and no one should question the validity of its contents. They openly challenged the anti-Dasam Granth lobby to a face-to-face discussion, and gave them a thirty day ultimatum at any venue. However, if they do not hear back from the anti-Dasam Granth lobby, the organizers announced that they would set the time and venue themselves and invite the detractors for a frank and open discussion. On the occasion, a book by Dr. Harbhajan Singh Dehradoon, 'ਸ੍ਰੀ ਦਸਮ ਗ੍ਰੰਥ ਸਾਹਿਬ ਕਰਤਾ ਸਬੰਧੀ ਵਿਵਾਦ ਦੀ ਪੁਨਰ ਸਮੀਖਿਆ' (A New perspective on Sri Dasam Granth Authorship Controversy) was also released. Dr. Harbhajan Singh is a professor at Punjabi University at Patiala. A right step at right time. Sikhs wake up. Dushts like Ragi Darshan and RSS/congress agent sarna are chalenging Khalsa panth. Panthic soojhwana nu chahida hai ki jay oh history di koi v jankari rakhde ne taan sari dunia vich media rahi khap paan ton baaj aan.. sarian vicharan Panthic sirmor mukh jathedar sahibana paas karan uprant hi pracharea jawe. Una panth dokhian nu suchet ho jana chahida hai inah dian harkatan haddo waddh jaan karan panthic sher apne farz nu mukh rakhdeyan suchet hoye hen. Right step taken though belatedly, but in right direction. Sooner or later Sikh Panth would come to know the truth about Sri Dasam Granth. I am glad that so many highly educated intellectuals have gathered together and have invited those who challenge certain contents of Sri Dasme Granth's Banies. I am one of Guru Gobind Singh Ji's ordinary Sikh and l am very much interested in his Banies. I bought three volumes of Sri Dasme Granth from Patiala University....I congratulate this gathering of very knowledgeable Sikhs to sort out any misgivings, misunderstanding or controversies about Dasam Granth Banies and even its Parkash at Sach Khand Hazur Sahib. I have been there. I did not find any reason or objection to bow my head in front of it as I did to Guru Granth Sahib. Please help all of us to understand, appreciate and respect Guru Gobind Singh ji's Banies without any reservations like we do GURU GRANTH SAHIB. GURU GOBIND SINGH JI was GREAT and is GREAT and will remain GREAT for Humanity in future too. In the present SIKH scenario we all Sikh should be united rather than dividing ourselves in different sections. I humbly request the the SCHOLARS to discuss the issue in door closed not in open as has been done in Faridabad. The Sikhs should respect GURU GRANTH SAHIB JI at any cost. The drama played at Faridabad is a shame. Dasam Granth is granth of my spiritual father. If we do not do its parkash who else will do that. Its parkash is perfectly justifed and Sikhs should not buckle under whims of agents of anti Sikh forces. 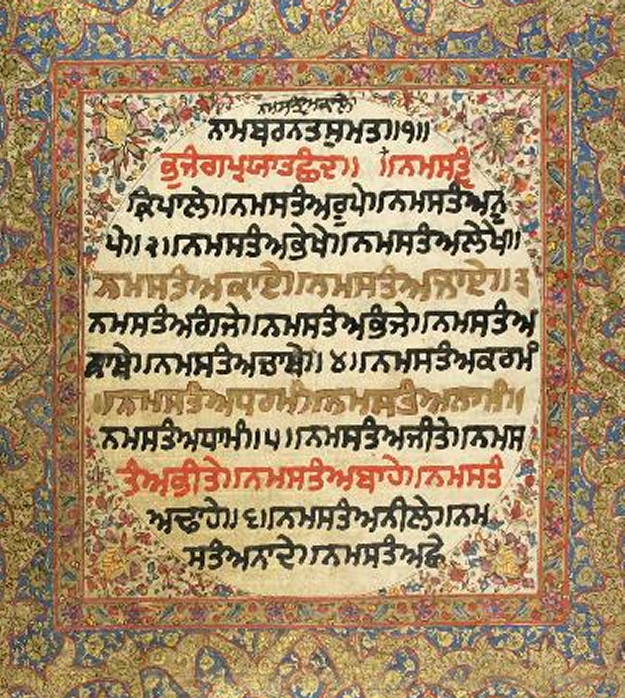 Thanks for posting the audio of the scholars on Sri Dasam Granth Sahib. Excellent Vichaar! Can you please also make these downloadable. All of the audios will be made available for downloading soon. anti dasam granth de jo lok han una da akal purkh ate sggs jite visvas nahi hai una da maksad kaum nu larvana hai sanu sab nu is tara de bandeya to suchet rehan di lohr hai aj jo nitnem te kintu kar rahe han o kal sggs gi te v kintu karan to sankoc nahi karan gai is tara de loka nal sanu savdhan rehna hai kaum de sare pracaraka nu is aukhi gari vich mil ke isda samna karna chaida hai. satguru ji de charna vich ardas hai ki ina nu sumat baksan ta jo kaum vich vandia na pain.